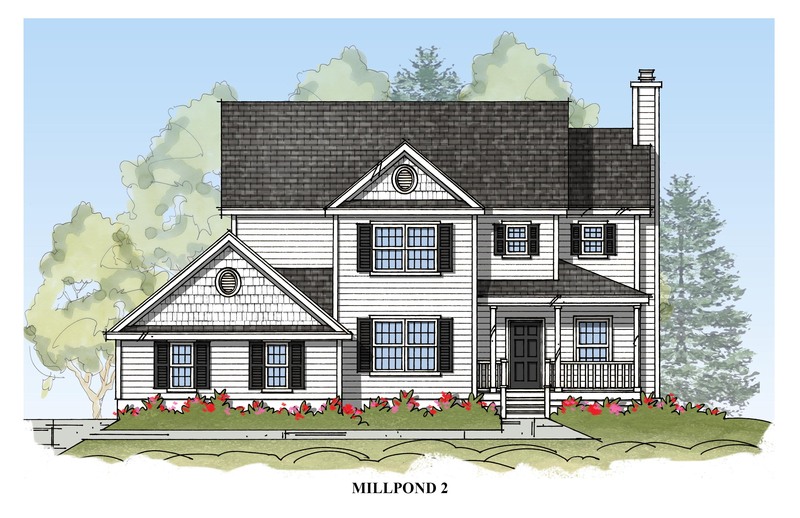 The Millpond features a stylish interior that seems even larger than its generous dimensions. The dining room is located at the front with a spacious family room open to the kitchen and breakfast nook. 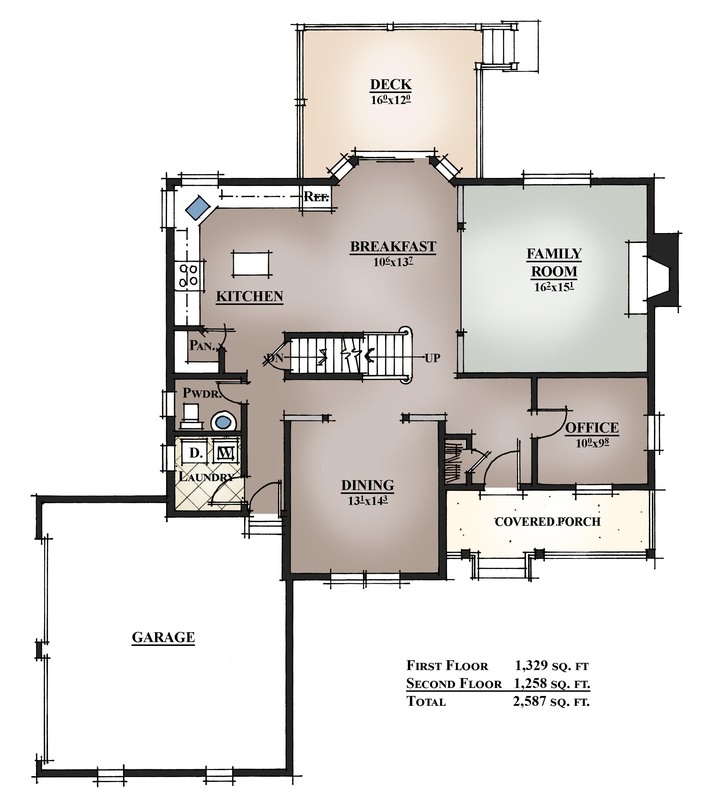 An island kitchen is standard and includes oak hardwood floors and granite counter tops, This model has 2587 square feet of living space, covered porch, 4 bedrooms, 2.5 baths, a master suite with walk in closet and master bath and an office on the main floor. 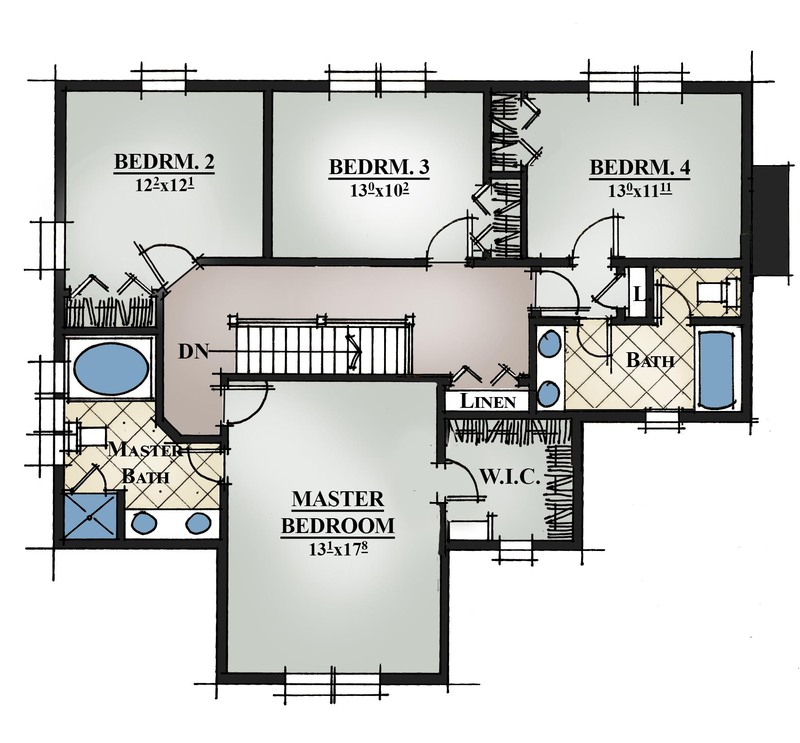 Extensive molding sets the home apart.